Amazon Retail Analytics provides Vendors with valuable information for operative and strategic decisions. Understanding how to use it is critical, however: it’s easy to lose sight of the important KPIs and metrics in the data jungle of ARA Basic or ARA Premium. In our webinar (see below) we give a comprehensive overview of how to use Amazon Retail Analytics and how to convert insights into the right decisions. In particular, we also show which ARA reports can be used to answer specific questions. If you’d rather read than watch the webinar, we’ve included the slides at the bottom of this article. ARA Basic vs. ARA Premium (ARAP): Data availability, costs, etc. Do you have questions about the webinar? Leave us a comment. We look forward to your feedback! As promised here are also the webinar slides. With the Retail Analytics module in Sellics Vendor Edition we offer a powerful sales performance dashboard for Amazon vendors. Right now, brands struggle to get a good perspective on which factors are really influencing their performance on Amazon. The lack of data visualizations in Vendor Central can be extremely frustrating, and in order to evaluate sales performance, vendors must create their own sales graphs by reworking data from various ARA/ARAP reports. 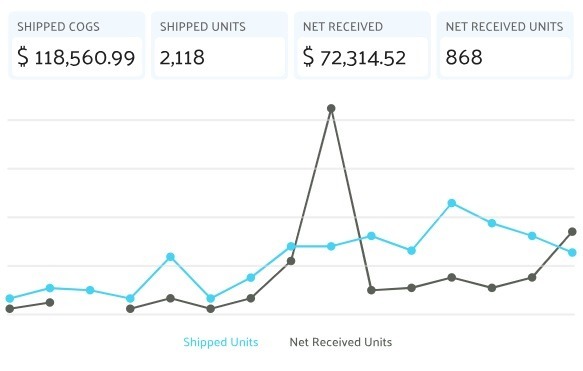 Sellics is able to combine the data from all your key Amazon channels (customer reviews, content/ search visibility, AMS, buy box monitoring) into one tool, and with our Retail Analytics module — give you insights into how these factors are influencing your revenue growth on Amazon.